Doesn’t it seem like accountants always get a bad rap in movies? They are portrayed as either bumbling nerds or as slimy crooks. The fact is, accounting is quite a cool career so ignore the Hollywood archetypes and aspire to number-crunch away. Find out more about accounting careers and how to achieve them. The practice of accounting can be traced back over 7,000 years to early Mesopotamia where it was used to show a list of traded goods and expenditures. Fast-forward at hyper-speed to the late 1400’s when Luca Pacioli introduced the double-entry bookkeeping system which was used by Venetian merchants to keep track of business information by using a system of debits and credits in journals and ledgers. Of course, evolution was necessary, bringing with it more advanced systems. However, the double-entry bookkeeping remains a major part of accounting. By definition, accounting is the action or process of keeping financial accounts. It is a system which keeps track of transactions, financial records, personal audits, advises on taxes, and reports and reviews financial information. Find local accounting schools, some have online programs. On a more generic level, the description of an accountant’s job is the preparation and examination of financial records. They ensure the accuracy of files, and that taxes are being paid on time. Accountants help individuals and businesses create financial plans of action to forge a path toward financial stability or freedom. There are a few different areas for an accountant to practice. Some specialize based on the industry they work in, while others choose their specialty during their education process. Managerial Accountants: Managerial accountants make around $60k per year, on average. This accounting specialty focuses on helping management staff of a business make educated decisions. Managerial accountants need to be highly trained in the industry but also need have an understanding of the business so that they can present the information in a clear, and concise way. Communication: Maybe you’re not a ‘people person,’ but if you’re going to work as an accountant, you’ll need to fake it somewhat. Communication, both in writing and verbally, is an important skill for accountants to have. Analytical: Part of any accounting job description is ‘the ability to identify a documentation issue and come up with a solution.' Maybe not verbatim, but regardless. Accountants must have analytical skills to get ahead in the business. Minimizing tax liabilities takes mad analytical skills. Math: This one seems like a given, right? If you can’t look at numbers without having an anxiety attack, then accounting isn’t for you. Much of the work can be done with software, but you still need to know math. Math is a must. Technology: In this day and age, you can’t get far without even the barest of working knowledge when it comes to tech. Gone are the days of manual recordkeeping, although many still do have some sort of handwritten system. Now, everything is online, through various programs. And, to keep up with the ever-expanding times, it’s best that an accountant is familiar with all the newest technology related to the field. Organization: Accountants of all specialties are busy people. They need to have some sort of working system in place to easily keep track of their responsibilities. Time management: Deadlines are a way of life for an accountant. Think April 15th, which is the number burned into most people’s brains when it comes to taxes. (It’s April 18th, for 2017, by the way). If an accountant can’t manage their time, then they will find themselves running into some serious issues. 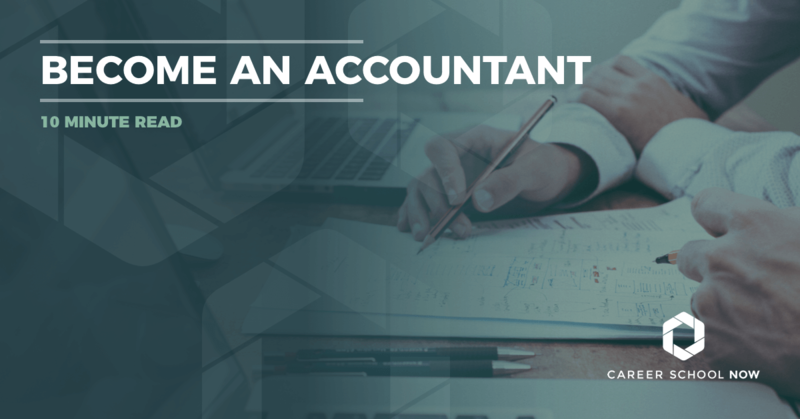 Careers in accounting hold an allure to many students for so many reasons, namely the variation of specializations, and the fact that it’s a comparably lucrative career choice. Accounting degrees are available on almost every level, from an associate’s degree through a doctorate. Associate’s Degree: You can get an associate’s degree in accounting in as little as two years, attending school full-time. You’ll be able to get a junior accounting position. Depending on the employer, you may be able to advance as you gain more experience and your skill set increases. Students will have to take taxation, fundamentals of accounting, personal finance, and accounting management. Bachelor’s Degree: Generally HR looks for candidates with a bachelor’s degree. This highly specialized, four-year degree will prepare students to work in a variety of positions within the accounting field. Some courses to expect in a bachelor’s program are cost accounting, preparing federal income taxes, financial statements, and auditing. Master’s of Accounting (MAcc): The master’s program is a good route for students who know they want to be CPAs because it covers the additional course hours needed for the CPA exam. Advanced managerial accounting, advanced business law, tax strategy, and other upper-level accounting and business courses. Post-secondary education is costly. Many students have to take out loans to cover the cost of tuition. Accounting is no exception, especially if you’re choosing to go to a university for a bachelor’s degree. Associate’s degrees though community colleges are generally the lesser of the evils. The average cost of an associate’s degree is around $2700 per semester. The average in-state cost of a university is $8000 per semester, and out-of-state tuition is more than $12,000 each semester on average. A private college or university can cost upwards of $50,000 per year. If you’re thinking about becoming an accountant but are hesitant due to the cost, don’t let that be a factor! There are so many financial aid opportunities available to help lessen the cost burden of college. There are a great many certifications available to add to an accountant's credentials. Not all are necessary. However, certifications such as a CPA or CMA can add greatly to your job prospects, as well as your salary. Certified Public Accountant (CPA): Getting a CPA is a sure-fired way to get ahead in accounting because it’s the most requested credential by employers. Educational requirements, beyond the traditional degree route, include an additional 150 course hours. However, that number varies by state. The CPA exam is given by the American Institute of Certified Public Accountants. There are 40 continuing education credits needed each year to keep the CPA designation valid. Certified Management Accountant (CMA): The CMA focuses on financial analysis, budgeting, strategic assessment, and organizational performance. The exam is given by the Institute of Management Accountants. To earn this title, you must have a bachelor’s degree, pass the CMA exam, have two years experience in the field, and complete 30 continuing education hours annually. Certified Internal Auditor (CIA): This CIA certification also offers four specialty certifications. Candidates must have a bachelor’s degree, along with internal audit experience. To maintain the certification, 40 continuing education credits per year must be met. Certified Fraud Examiner(CFE): Every year, a minimum of 20 continuing education hours must be met. Candidates must be a member of the CFE, have a bachelor’s degree and pass the exam. Certified Information Systems Auditor (CISA): This exam is available to anyone interested in information systems audit, control, and security. Some prerequisites such as work experience and education apply. Certified Bank Auditor(CBA) Candidates must have a bachelor’s degree and a minimum of two years as a bank auditor. Certified Government Auditing Professional (CGAP): This is a three-part exam that remains the standard by which individuals demonstrate their comprehensive competence and professionalism in the internal auditing field. Enrolled Agent(EA): To qualify to become an enrolled agent, you must have worked for 5 years with the IRS or pass an exam covering all aspects of the tax code. This is a government designation that means the individual is licensed by the federal government to to appear in place of the taxpayer in front of the IRS. The IRS will conduct an intense background check. Accountant vs CPA: What's the Difference? All CPAs are accountants. Not all accountants are CPAs. Initial education is similar. However, Certified Public Accountants need to meet more specific educational and licensing requirements, plus pass a licensing exam. To become a CPA, you must take an additional 150 credit hours of upper-level accounting courses. Once you graduate, you’ll need to work for a year under an experienced CPA before being eligible to sit for the exam. Once you’re a CPA, you’ll be required to take continuing education credits to keep your license active. After the first year, a CPA can earn roughly $8,000-$10,000 per year more compared than a non-certified accountant. Accountants have bachelor degrees, either in accounting or business-related fields. Accountants might oversee, or perform, the company billing, keep the ledgers, and manage accountant clerks or techs. However, as a mid-level career, accountants may have to report to comptrollers, financial directors, or managers, all of whom may be CPA’s. One major similarity between Accountants and CPAs is that neither of them considers bookkeepers accountants. In May 2016, the national average for accountant salary was $69,350. The bottom 10 percent earned over $43,020, and those who had over ten years experience, or the top 10 percent made $122,220 annually. Accountants work full time, and during tax season, they may put in much more than 40 hours per week. The Bureau of Labor Statistics predicts an 10 percent job growth for accounting positions between now and 2026. The growth of accountant employment is closely related to the growth in the economy. The more people who are working means, the more financial records to be maintained and filed. Accountants who are CPAs will have the best job prospects, as do graduates with master’s degrees. However, because there will be such a high demand, entry-level positions will also be readily available.